Washed out on Runswick beach. 6 lb 03 oz - his 218th fish this season - new WSAA record. Found inside a couple of codling. Only 11 oz but 28.2% of British record. 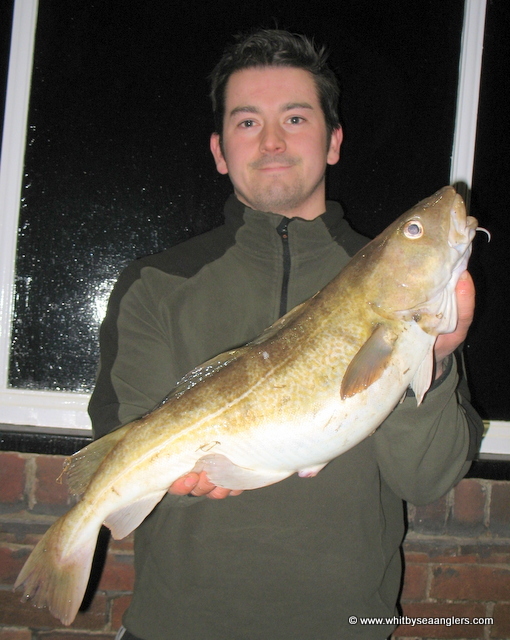 Matthew Garbutt, 6 lb 03 oz cod, his 218th fish this season. Congratulations from all at Whitby Sea Anglers Association. Photograph by Peter Horbury. 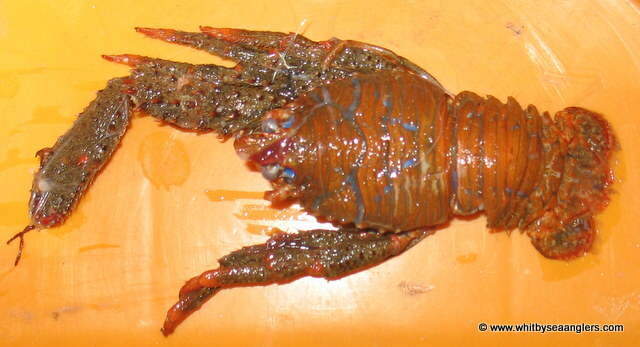 Squat lobster found in a fish on wednesday 20th February 2013. Photograph by Peter Horbury. 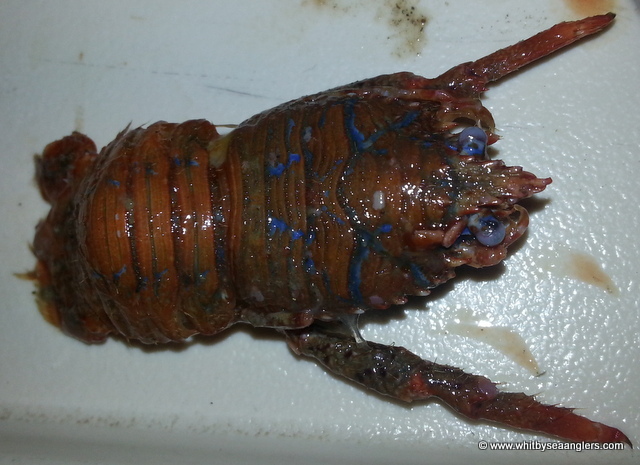 Squat lobster found inside Scotts' fish 24th February 2013. Photograph by Scoot Moore. Sea Scorpion (Myoxocephalus Scorpius) caught in last nights match by Rob Allison. Only 11 oz but still 28.2% of British Record. Photographs by Peter Horbury. 53 .2 % of British record. with the Christmas Match Trophy. Matthew Garbutt, WSAA, 10 lb 13 oz. 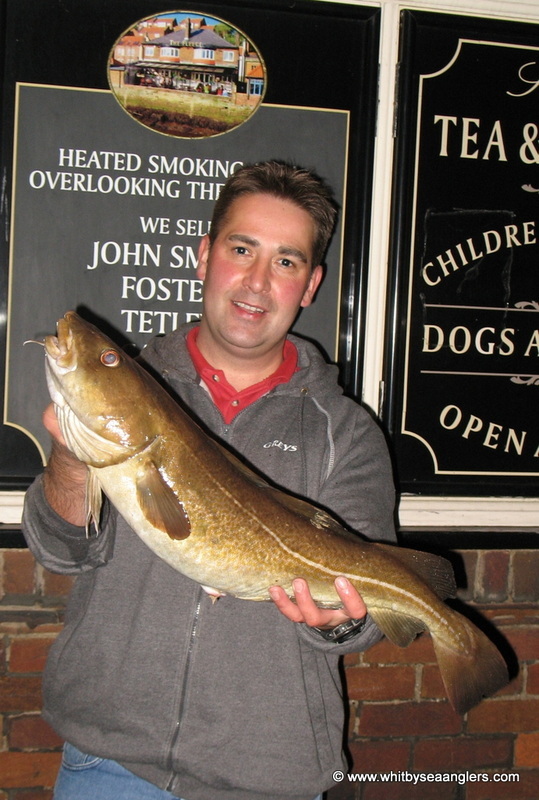 Wins Heaviest Fish of the Christmas match 23rd December 2012. Photograph by Peter Horbury. 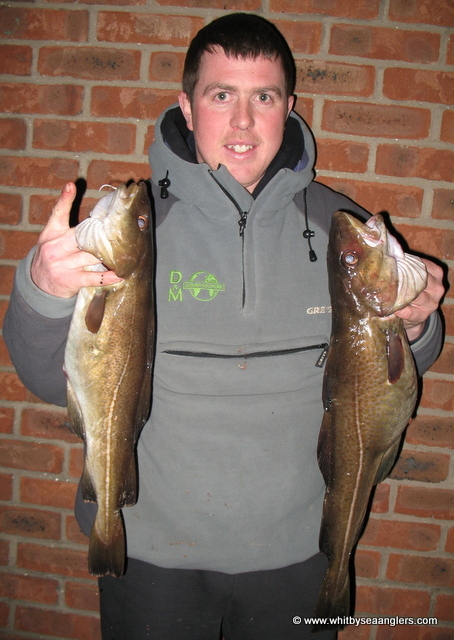 James Gilpin nee King Cod, WSAA, Wednesday 19th December 2012. 11 lb 08 oz. Photograph by Peter Horbury. Neil Inglis, WSAA, Wednesday 19th December 2012. 9 lb 14 oz. Photograph by Peter Horbury. Mike Bowman, WSAA, Sunday 9th December 2012. 9 lb 00 oz. Photograph by Peter Horbury. Andrew Cass, WSAA, Sunday 2nd December 2012. 12 lb 04 oz, Heaviest Fish out of a WSAA competition. 2nd Place in Cloughton Open. Photograph by Peter Horbury. James Gilpin nee King Cod, WSAA, Sunday 2nd December 2012. 7 lb 14 oz. Photograph by Peter Horbury. Scott Moore, WSAA, Wednesday 28th November 2012. 11 lb 09 oz. Heaviest Fish of the season, but for how long? Photograph by Peter Horbury. Matthew Garbutt, WSAA, Sunday 25th November 2012. 9 lb 11 oz. Photograph by Peter Horbury. Colin Stainthorpe, Sunday 4th November 2012, 7 lb 12 oz part of an 8 lb 11 oz bag of fish. Photograph by Peter Horbury. Neil Inglis, Sunday 14th October 2012. 8 lb 07 oz part of a 16 lb 12 oz bag of fish. Photograph by Peter Horbury. Andrew Cass, wednesday 10th October 2012. 8 lb 09 oz.. Photograph by Peter Horbury.